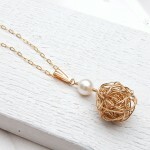 A beautiful set comprising of a 14ct Gold Filled wire wrapped necklace with a AAA freshwater pearl with matching earrings. 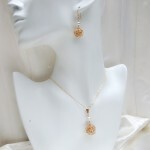 This necklace and earrings set was made primarily for our wedding/bridal collection but has proved extremely popular for all occasions due to it's versatility. 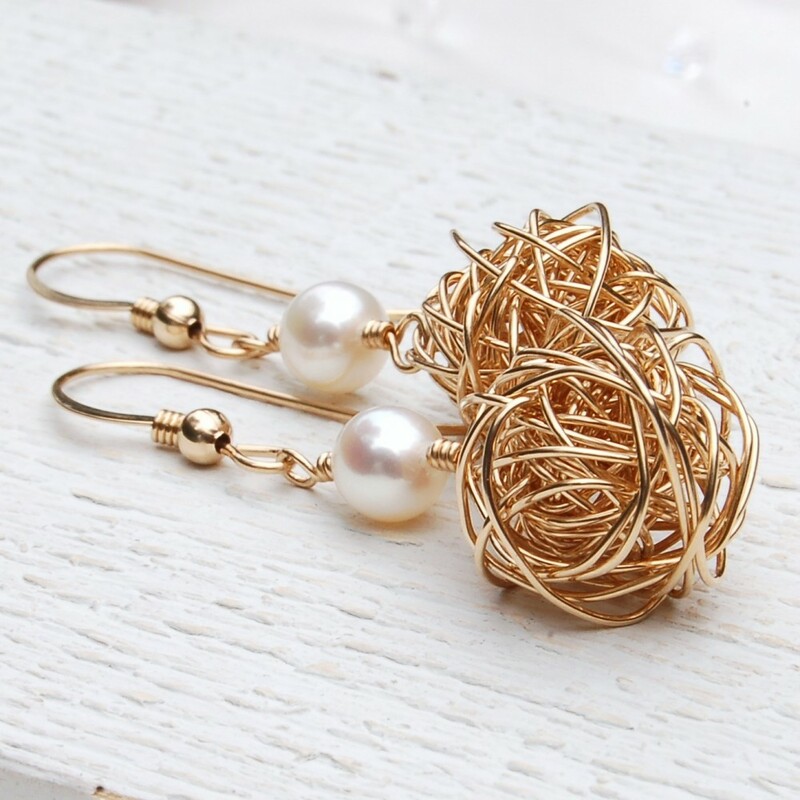 Lengths of 14ct Gold Filled wire are wrapped and weaved into balls and complimented with a luxurious AAA creamy white freshwater pearl. 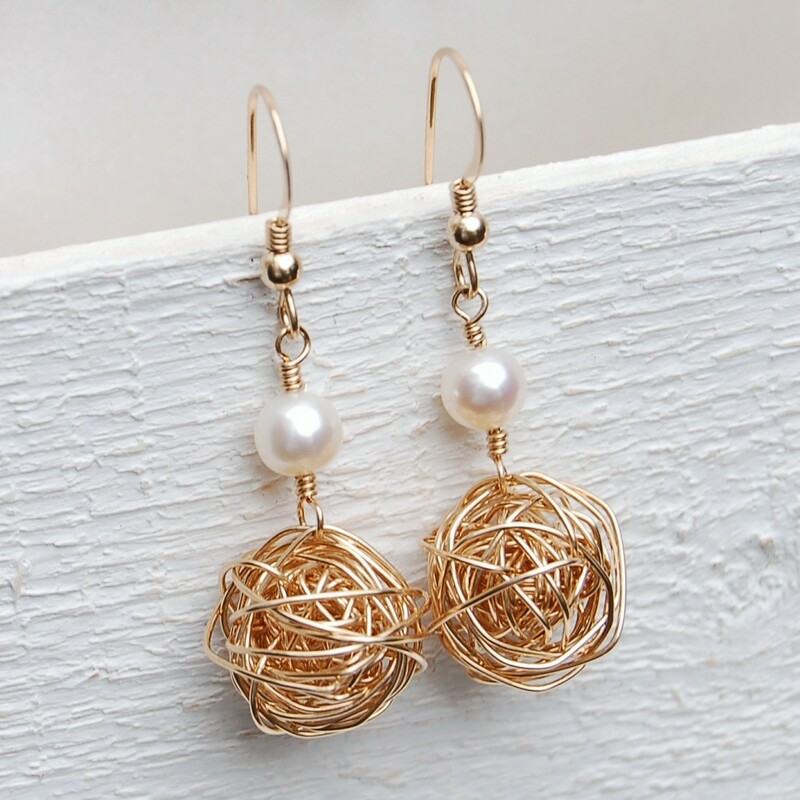 The ball and pearl earrings are hung from simple but elegant Gold Filled ear wires with a small bead and coiled wire detail and on the necklace from a Gold Filled bail. 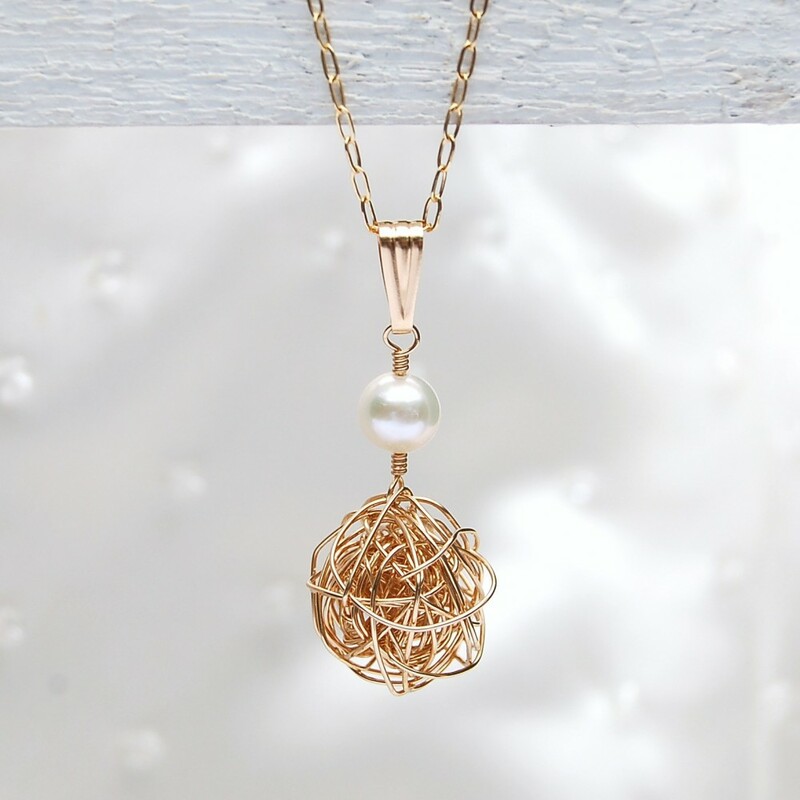 A version without the addition of a pearl is also available. 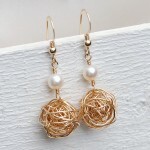 Both the necklace and earrings are also available to purchase individually. 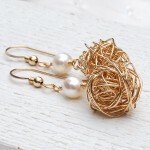 All components of these earrings are made from 14ct Gold fill and the pearls are AAA quality freshwater pearls. Gold filled is an actual layer of gold-pressure bonded to another metal and has a much thicker layer than a standard electroplated coating (gold plated). As such Gold filled is much more valuable and tarnish resistant and it does not flake or rub off.